Every day there are tragedies. In the news just this week there have been earthquakes, bombs, wars, death and destruction across the globe but it is often not until it is on our very doorstep that we truly sit up and take notice of what is happening around us. And sometimes something happens that unites the world in its indignation and grief for the occasion, bringing something amazing back from the jaws of travesty. This weekend that ‘something’ was Fabrice Muamba. You must have read or heard somewhere about the horrendous end to the Tottenham Hotspur – Bolton Wanders match on Saturday 17th March. Just after 41 minutes of the game, the Bolton and former Arsenal player collapsed on the pitch without apparent cause. It took six medics immediate CPR for over six minutes and the defibrillators to keep Muamba alive until he could be treated in hospital for the attack that has stopped his apparently fit and healthy athlete’s heart. The latest on this is that he is fortunately now awake and making progress towards recovery but it has unleashed a media storm of epic proportion across the populace, and I’m not talking about the professionals. Thanks to the open source nature of the internet, the population at large was kept up to date with Muamba’s condition and treatment almost as events were occurring, and the messages flooding Facebook and Twitter were well-informed, collective and most importantly, united in their well wishes toward to the 23-year-old. With the advances in technology, the shortening of the alleged six degrees and the hunger for connection society feels the need for today, not only do we possess the ability but also the opportunity and the drive to interact as we would not have been able to even 10 years ago. This ability is so beautifully demonstrated and shown to the very best of its ability when a shock such as the Muamba incident occurs. A calamity occurring amid the celebrations of St. Patrick’s day, a super Saturday of International rugby and a Welsh Grand Slam, and yet within hours the world is not only aware but also aligned in its thinking. This power; this ability is something leaders of the past could only have dreamed of inspiring in months of campaigning and yet a tweet or three manages it within the space of an afternoon. And a busy one at that! I have often been irritated beyond belief at some of the trends that can be seen flitting across the world-wide web and the sheer banality of the perpetrators behind it. 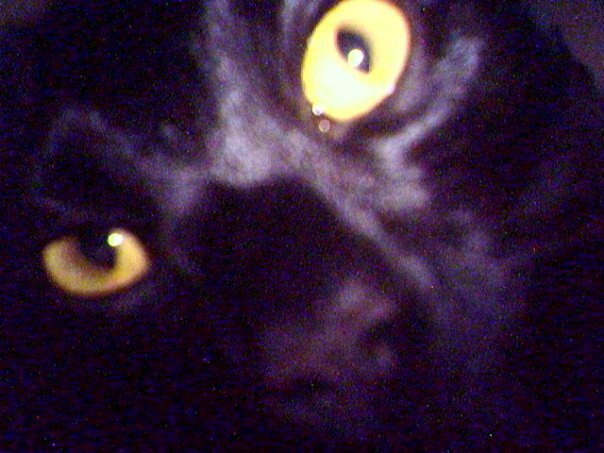 More than once, I’ve cursed the ideas that let the very people who have no sphere of existence beyond that of their avatarian selves, bleat their meaningless drivel about said non-existent life across the ether for all to see. And I am not averse to offering insult to the miss-spelt, grammatically incorrect, linguistic murderers who seem to find little wrong with their desecration of the English language on a daily basis. However on occasions such as this, I willingly swallow every opinionated, subjective pedantry I have ever uttered and admit I was wrong. It was thanks to the fast and timely actions of the medical personnel available on the pitch side on Saturday that Muamba undoubtedly owes his life for had they not acted as they did, his battle would surely have been lost long before the hospital had even been reached. Their grasp of the situation and immediate response should be something to be applauded during this shocking time. What should also be noted is that about 500 people in the UK alone die each year from SADS. And these people don’t attract Twitter trends. I have been unfortunate in my life, in that I have known three people die of what has been termed Sudden Adult Death Syndrome, Adult Cot Death, Sudden Arrhythmia Death Syndrome and a host of other names but they all amount to the same end. A seemingly healthy person, functioning as any ordinary person of their age would, suddenly and at the time, inexplicably stops as though someone has flicked the switch off. I have seen the destruction and confusion this can leave behind as well as the furiously impotent anguish and experienced the desperate inanity and vile feelings of unjust cruelty myself. I cannot begin to describe the torrent of powerlessness this loathsome illness can inspire nor would I want to wax lyrical about its base effect. But from the ashes of destruction can grow something hopeful. It was a year ago last weekend that the most recent of these, Ben (15), died. Almost to the day of Muamba’s collapse. I am not going to tell you all about the joy he was to watch growing up and I’m not going to cry about how hugely unfair his loss is to the world. Nor am I going to go on about the guilty grief I felt for having only known him clumsily for a short amount of time or the sorrow I felt as I faced the fact I would never get to meet the man I knew he was capable of becoming. Instead I would ask that you take a moment to find out about the charity working on the solutions rather than just reading about the people affected. Take the time to read the information and pass it along, gain something from another heartbreak that may not have a celebrity tag but certainly deserves your attention, if only fleetingly. Bring something back from the brink of destruction, a little knowledge to be used to whatever ends you deem necessary. Don’t cower in ignorance behind platitudes of denial or fatalism. Whether public figure or common prol, this disease is a leveler of all men and knowledge is a weapon that can defend us all. Don’t get me wrong, I am not naive enough to assume that with understanding and information, death itself can be duped, but I am optimistic enough to believe that with every new person who is given the information needed and the choice of how to act and support, the stifling, fearful hold cardiac disease in the young has is diminished just that fraction more. There’s always something positive to come from the ashes; sometimes you just need the strength to look for it. Even if you just make a start today, a little information can change the world. Ben Daniel’s Memorial Fund. Make it count. Maria V. Snyder: A return I was so much waiting for I decided to review it. Yep, i know. So far I’ve not been a big reviewer of… well, anything! But this changed over Christmas when Maria Snyder’s latest book came out. After the previous two sci-fi ones which were really not my cup of tea I’m afraid I was to say the least, a little on edge. So I thought I would share with you my thoughts on the latest of her nine books to date. Having read Maria V. Snyder’s Yelana Zaltana series in 2009 and following it eagerly with her next two series as soon as they became available, I was looking forward to the latest novel with something akin to fearful apprehension. It wasn’t that the second two series hadn’t been good; it’s just that her first had set a bench mark and the rest had unfortunately fallen a little short. It was with this in mind that I started the first of the Avry Kazan novels. In the land of the 15 Realms, A Touch of Power tells the story of healer, Avry Kazan, three years after the man-made plague has decimated the population. It has left the few remaining healers shouldering the responsibility for starting the atrocity, fearful of discovery and scattered. Avry’s story begins with her dilemma between the urge to help those who need her and her desire to survive. Choosing to help the people who condemn her, she is sentenced to death and it is only because of her rescue by the fiery Kerrick and his band of unlikely champions that Avry is saved. However, soon after the daring escape Avry is given another choice; return to her life on the run with no end in sight but that at the hands of the people who hold her responsible, or help Kerrick and his friends save a Prince from death, a man said to be able to unite the lands and save the people from the tyranny of others. Not one to draw away from duty, the choice should be simple but for two matters. Firstly Avry knows that to heal the prince she must give up her own life for his and secondly, she is also one of the only people left who knows that the prince might just be the one who condemned the worlds to the plague from the start. From the moment I opened the pages and submerged myself into the 15 realms I found the book almost impossible to put down. The slowly building story wraps itself around you, drawing you deep into its intricate characters and beautifully described lands as a Death Lily would into its exotic and often fatal clasp. The world is complex and the lands numerous but Snyder using her flowing style and magic to introduce each new piece as a part of the elaborate whole. It is this creation of a land that not only invites the reader in, but gives them a place to be in it and see the story unfold from the very midst of the action. The characters emerging from the land add colour and vibrancy to a single story thread comprising a recipe of every individual tale. There are those who take up less back story but by the middle of the book, their individual characters are still leaving you rooting for their survival throughout the series. Snyder’s skilful style tempers the sometimes abrasive traits of the main characters with those of supporting roles that gradually come to the fore. It is a difficult balance to achieve but she has managed this throughout the story with a balance of, not good and evil, but good intentions and intentions for the greater good. It seems as though Snyder has used all her previous series to work out the best parts to use in this first book. There are similarities in her heroine’s traits of intelligence, skill and power behind the scenes. Of course mixed in there must be a stubborn streak and tenacity to execute the equal parts daring and dangerous plan, as well as a self-sacrificing nature. However, Avry breaks from the mould by also being susceptible to seduction in more ways than one and her capitulation at points enhances the tension of the narrative. A speciality of all the nine books written by Maria Snyder is the development of the romance throughout the narrative, which is complimented by the appearance of the initially seen archetypal anti-hero. In addition to the classic situation of not noticing what is right before your eyes, this style of romance is the catalyst for a slowly igniting, but once lit, passionate romance that flows in harmony with the unfolding plot lines. The individuality of the characters makes this romance their own and though the similarities are definitely there, when it works this well; why on earth change it? 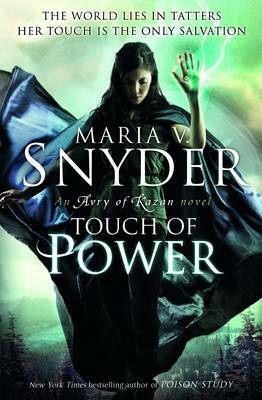 A Touch of Power was a long awaited return to fantasy for Snyder and this book shows why this will to my mind, always be her forte. For me, the worst part of the book is knowing it took me less than two days to finish and now I have two years to wait to read the next instalment. Which as bad points go, will by no means stop me recommending this to fantasy readers everywhere and re-reading it several times while I await 2013 for Snyder’s next offering with fearless anticipation.